My ceilings are sagging badly, what can be done? 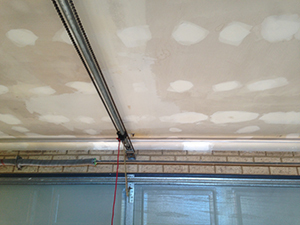 In most cases, sagging ceilings can be pushed up and saved. 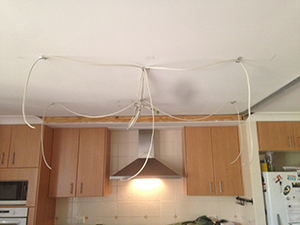 We do not like pulling them down and replacing them. We only do so if there is no alternative. I removed some air conditioning outlets from the ceilings. Can the holes be filled? 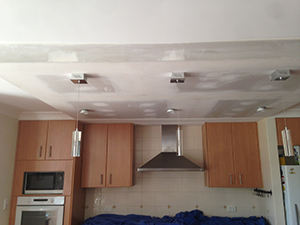 Yes, we can fill them easily and neatly, once painted your ceilings will be like new again. I have paint peeling on my bathroom ceiling. What can be done to fix the problem? Unfortunately, peeling paint cannot be fixed. Some people may say they can scrape the loose paint off and re-plaster. 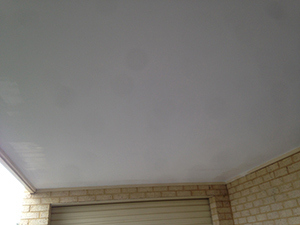 It can work for a while but the paint will continue peeling consistently in different areas over the years. The proper way is to fit a new ceiling in altogether. I have lathe and plaster ceiling in my house which is about 80 years old. There are some cracks appearing and some small sections fell on the floor. How can we fix the problem? That is a hard one. We cannot fix the cracks most of the time. If we try to tape over and skim with plaster, it will only work for a short while. 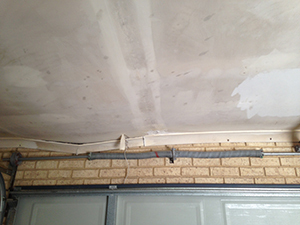 The best thing is to fit a new ceiling under the existing. In my garage, the Hardiflex sheets are sagging and coming away from the plastic strips. I am afraid they are going to fall on the cars. How can you fix the problem? We can secure the sheets again and fit them safely back into the plastic strips. 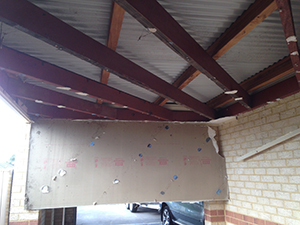 The main problem causing this is the shrinking of the jarrah joists over the years. We dismantle and take down a few sheets in order to add some more timber inside the roof space. When that is done we re-fit the sheets properly and they will never move again.